The Obama administration’s new rules to curb methane come in the wake of two reports that illustrate the dangers of hydraulic fracturing (fracking). These reports show that methane is leaking throughout the fracking process from extraction to the end users. The Environmental Protection Agency recently released the final version of their new federal rules to limit methane emissions at oil and gas facilities. While this is a good first step, the regulations only apply to new facilities. Although carbon gets most of the attention, methane is a powerful greenhouse gas. Although burning natural gas releases half as much carbon dioxide as coal, fracking for gas also releases unburned methane. CH4 (methane) is the main component of natural gas, it is a potent GHG and as such, a major contributor to global warming. Although methane has a shorter active life, it is as much as 105 times better at trapping heat over a 20-year timeframe than carbon. In addition to climate change, fracking has been shown to contaminate drinking water and cause seismic activity (earthquakes), contribute to air pollution, and destroy land. The current fracking trend may make it difficult for the US to achieve its 26 to 28 percent GHG reduction targets (2005 levels by 2025). The Environment America Fracking Report concluded that fracking poses a risk to local communities and wildlife. The report comes to the clear and unavoidable conclusion that fracking must be stopped. The report says that there are 137,000 fracking wells drilled or permitted across more than 20 states. In 2014, new fracking wells released 5.3 billion pounds (2.4 million metric tons) of methane into the atmosphere which is equivalent to the emissions from 22 new coal-fired plants. 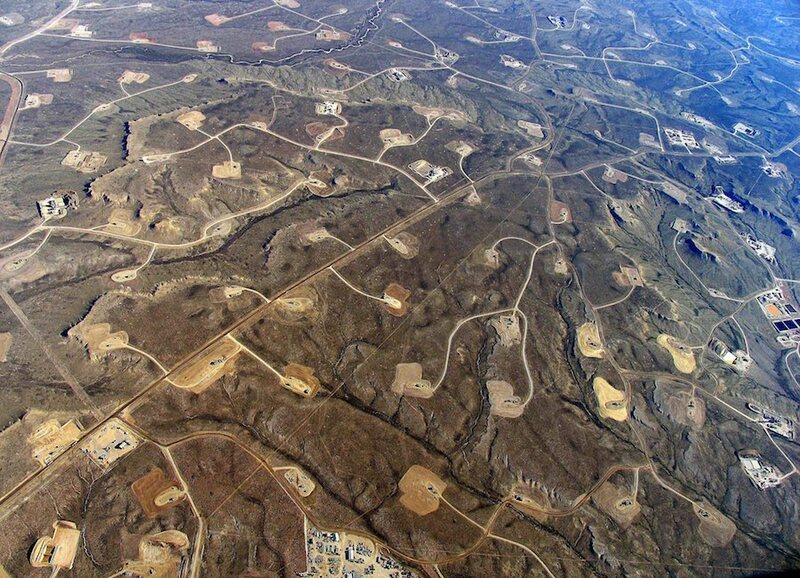 Fracking is fraught with a host of problems, starting from the point of extraction. Methane is released during fracking, in the processing, transporting and distribution. The report concludes that there is “tremendous environmental harm and puts the health and safety of communities across the country at risk.” It further states that the companies behind this destruction should be made to pay for the damage they have caused. The Environmental Protection Agency’s (EPA) methane calculations appear to have drastically underestimated the scale of the problem. A recent Harvard study used satellite data from across the country over a span of more than ten years and found that US methane emissions have increased by almost a third since 2002. What makes this data so shocking is the fact that the EPA had been insisting that US methane levels were falling. The Harvard satellite data concluded that the surge of methane from the US is responsible for between 30 and 60 percent of the global growth in methane emissions this past decade. The Harvard research corroborates previous findings including a 2014 Stanford study that reviewed over 200 earlier studies to find “U.S. emissions of methane are considerably higher than official estimates.” A 2014 PNAS study of fracking sites in southwestern Pennsylvania found that methane was being released into the atmosphere at a rate 100 to 1,000 times greater than estimated by the EPA. Together, these studies demonstrate that fracking obliterates any climate benefits associated with natural gas. A study, entitled, “Greenhouse Gases from a Growing Petrochemical Industry” shows that in addition to methane emissions, fracked gas is encouraging the development of energy-intensive infrastructure and industries that produce huge quantities of carbon dioxide. The study concludes that cheap shale gas is encouraging the development of other energy-intensive infrastructure and industries, which in turn produce approximately 86 million tons a year of CO2 each year. This is the equivalent of 19 coal-fired power plants. The EPA recently released the final version of new federal rules intended to curb methane emissions. It aims to reduce gas-sector methane emissions 40 to 45 percent below 2012 levels by 2025. The EPA expects the regulations will cost $530 million by 2025, while generating $690 million in environmental benefits. Even before the EPA’s latest move, the fracking industry had fallen on hard times. It seems market forces, specifically the low price of oil, are forcing the shutdown of fracking operations. Up to a third of all fracking companies may declare bankruptcy by the end of 2016, Fortune predicted at the end of 2015. As reported by Desmogblog, some of the biggest players in the industry are in trouble. Among them are Chesapeake Energy, Continental Resources, Whiting Petroleum and Halliburton. The latter has announced that it was axing 5,000 drilling jobs globally or eight percent of its workforce. Continental Resources has stopped its fracking operations and they reported their first annual loss since they began operating in 2007. States dependent on fracking are being hit hard. North Dakota and Oklahoma are projecting a $1 billion budget shortfall and in Alaska, the budgetary shortfall is $3.5 billion. We need to expose the myth that fracking for natural gas is a bridge fuel. Ramping up the use of fossil fuels is incompatible with the goal of the Paris Climate Agreement, which aims to keep temperatures from rising no more than 2 degrees Celsius. This is the conclusion of numerous studies including the Intergovernmental Panel on Climate Change. The Environment America Fracking report makes it abundantly clear that this also includes fracked gas.